Our staff are continually educated by taking classes and going to events, ensuring the latest in techniques to customize the right look for each client. ​All prices subject to change without notice. Bang, ear and neck trims are complimentary. Please ask for special instructions when booking a specialty style. Olaplex treatment $35.00 with color service and $55.00 without. Makeup consultations are free. The stylist will take up to 30 minutes to go over the needs with the client for their upcoming event. A smoothing treatment that restores your hair's health and shine. 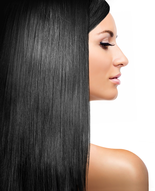 We encourage you to visit http://www.brazilianblowout.com for more information and testimonials. Pre-booking your appointment will ensure you get the time you prefer.